Voted Skytrax 2018 World’s Best Low-Cost Long-Haul Airline, Norwegian offers a growing network of long-haul flights from London Gatwick to 12 popular USA destinations and Buenos Aires, Argentina. The airline has grown to operate more long-haul routes than any other airline at London Gatwick and has established itself as a leading transatlantic airline. From Sunday 31 March 2019, Norwegian will break the monopoly on flights to Brazil with a new service to Rio de Janeiro–Galeão International Airport (GIG) from London Gatwick Airport. Four weekly flights will operate on Monday, Wednesday, Friday and Sunday using Boeing 787-9 Dreamliner aircraft with up to 344 leather seats in an economy and Premium cabin configuration. Customers can take advantage of affordable fares to Brazil from £239.90 one way and £549.90 one way in Premium, which offers spacious deep reclining leather seats with more than a metre of legroom, priority boarding and a complimentary three-course meal service and a selection of drinks. 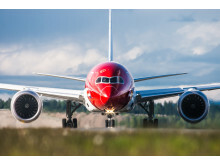 Members of Norwegian’s free-to-join loyalty programme, Norwegian Reward, can earn and spend CashPoints on flight bookings to the airline’s newest long-haul destination. CashPoints are earned on flight bookings and with Reward’s partners that can be spent toward the cost of any Norwegian flight. His Excellency Fred Arruda, the Ambassador of Brazil to the United Kingdom said:"The new direct flight from London to Rio de Janeiro by Norwegian is excellent news for connectivity between Brazil and the United Kingdom. 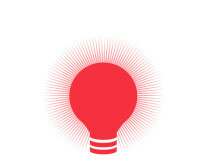 It will certainly increase the flow of tourists, allowing more British people to enjoy the beauties of Brazil. It will also help to create jobs in our country and improve competition, potentially reducing costs for passengers. For that, we praise Norwegian’s announcement of the new route. " The new route to Rio de Janeiro follows Norwegian’s existing service to South America with direct flights from London to the Argentinian capital, Buenos Aires. The Gatwick-Buenos Aires route will increase from four weekly flights to a daily service from 3 December in response to customer demand. In October, the airline launched domestic flights in Argentina with two routes from Buenos Aires to Mendoza and Cordoba ahead of planned new routes to Salta, Iguazú,Bariloche and Neuquén. 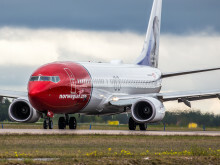 Norwegian was ranked the most fuel-efficient airline on transatlantic routes by The International Council on Clean Transportation (ICCT) and has one of the youngest aircraft fleets in the world with an average age of 3.7 years.